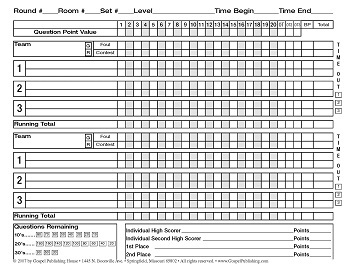 The Teen Bible Quiz Score Sheets* is available from My Healthy Church as a FREE download. You may view and download this item here. * For more information email Customer Relations or call in the US 1 (855) 642-2011.